Are you ready for Pi Day??? Well, I was. I was going to be SUPER ready. I was going to celebrate Pi Day in EPIC fashion, with not one, not two, but three pies. All baked in one night. Yeah, this is yet another lesson of Stephanie-doesn't-know-how-to-gauge-how-much-she-can-really-do. But, I think it would have all really worked out. Until I decided to try two pies that I've never made. Including these cute little cupcake pies with the numbers of pi cut out on top! I mean, they would be super cute, wouldn't they? But here's the hitch and a confession: I've never made a covered pie before. EVER. In all of my years of pie baking, I have always managed somehow to avoid making a covered pie. 'Til now. So, how would I know that the insides would boil out through the numbers if I covered the pies with foil too early on to avoid burning the crust? Yes, lesson learned. Aren't they gorgeous? Well, they would have been a huge success had I not been trying out a new (not lemon) curd recipe at the same time, which, as I found out thirty minutes after taking these beauties out of the oven, didn't keep set when it reached 350 degrees F. Blurg. So, since I don't have little cupcake pi pies to present to you for the celebration of Pi Day, here's a quick round up of a few of my favorite pies and tarts that I've posted about thus far. 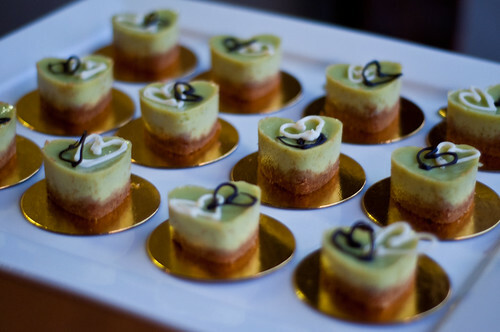 First, we have these mini key-lime heart-lettes that I made for a wedding last summer. 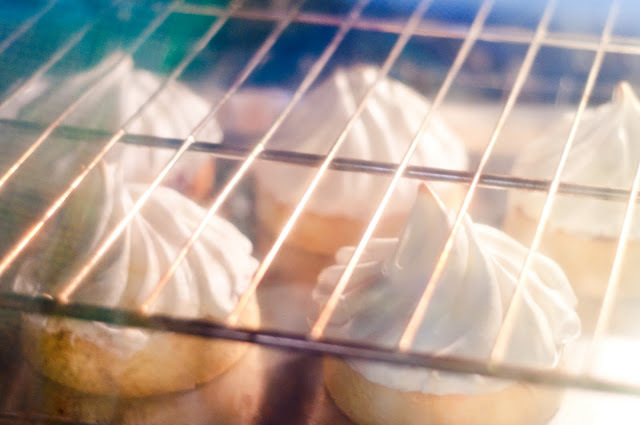 They were one of the first things to disappear on the dessert table! 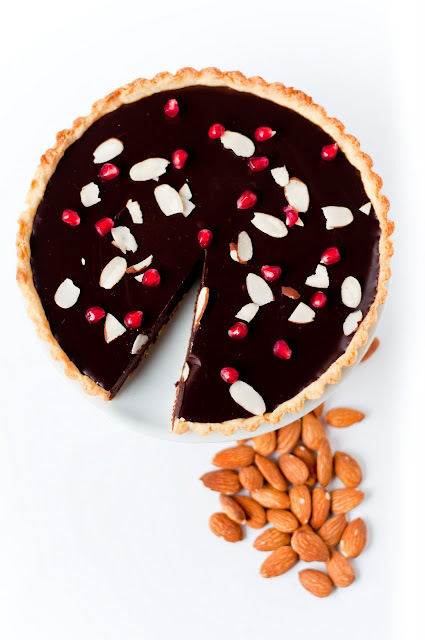 Next, there's this orange-almond-pomegranate chocolate tart that I posted about a few weeks ago. 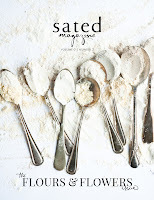 This was truly a great invention, borne of random ingredients that I happened to have lying about my kitchen table. 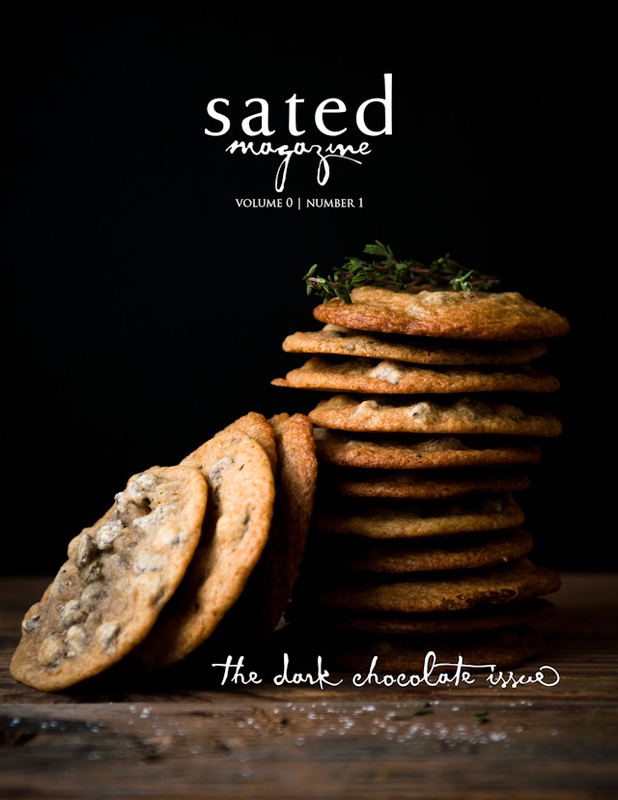 The pomegranate seeds were especially delicious as little bursts of juicy flavor next to the bitterness of the dark chocolate. Mmm...mm! 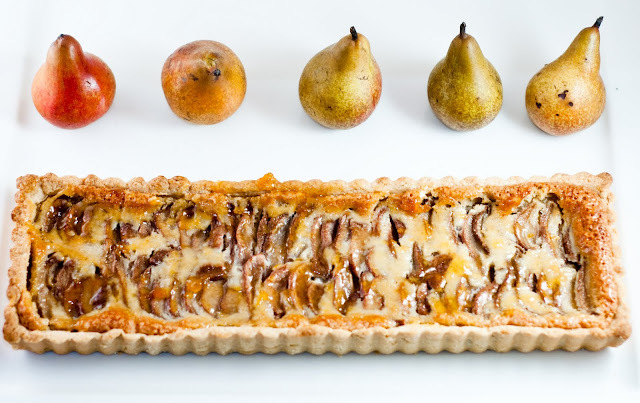 Lastly, this drunken pear frangipane tart is probably one of my favorite recipes from this past year. Frangipane pear tarts are already really good, but if you poach the pears in red wine beforehand... Yes, you know what I'm talkin' about. :-P It was so good that I even made it for Thanksgiving dessert, along with the holiday staples of apple pie and pumpkin pie. Anyways, this is a fair warning that my pie and tart spree as of late is not over yet! I have a few exciting tarts up my sleeve, and I'm definitely going to revisit and perfect these two pie recipes. But, until then, Happy Pi Day! A pie with a Pi symbol on the top? Genius! >< Its a shame they didn't turn out exactly the way you wanted them to, but if you hadn't told us they were supposed to actually say "Pi" instead of ... "@" I would have been none the wiser! Well except for that one pie which seems to have been cut in half.. did you get the munchies before you took the picture? hehe. 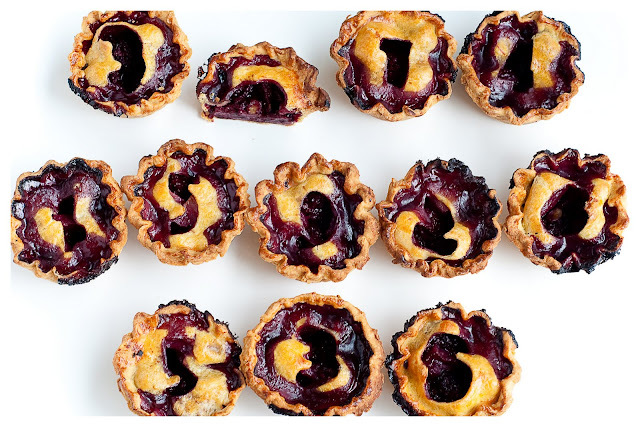 Aw I still think the pi number mini pies are an AWESOME idea and don't look too bad. I'll take rustic and oozy over perfect and cold anyday :). Happy belated pi day!